Overcoming Language Barriers in Emergency Situations - Niki's Int'l Ltd. Accidents happen everyday to people across the United States resulting in emergency situations. Heart attacks, car accidents and even natural disasters can all result in a visit to the emergency room. First responders, EMT’s, nurses aids, nurses and doctors all work tirelessly to provide optimal healthcare to people in need; but what happens when a language barrier affects the vital communication between healthcare workers and patients. According to the Pew Research Center by 2055, the U.S. will not have a single racial or ethnic majority. In the past 50 years, nearly 59 million immigrants have come to America mainly from Latin America and Asia. 14% of the country’s population is foreign born compared with just 5% reported back in 1965. The demographic in America has significantly shifted and is continuing to evolve day by day. With such drastic changes in diversity within our communities, it’s becoming more common for healthcare workers to interact with limited English proficient (LEP) patients on a daily basis. Population shifts and language barriers impact the needs of people being provided with healthcare services. They also affect the way in which healthcare workers provide healthcare services. It’s important to be aware and understand these shifts in order to stay prepared, especially in emergency situations. A failure in communication between patient and provider can result in unnecessary pain, errors in drug treatment, misdiagnoses, abnormally long hospital stays and possibly death. Language barriers prevent LEP patients from being able to express themselves accurately. If a doctor isn’t able to understand what is ailing the patient how can treatment be provided. When an emergency situation is at hand, time is of the essences, language barriers prevent vital communication from happening, which can result in lost time and potentially life threatening outcomes. LEP patients are heavily affected by language barriers, it brings about feelings of anxiety, frustration, fear and loss in control. 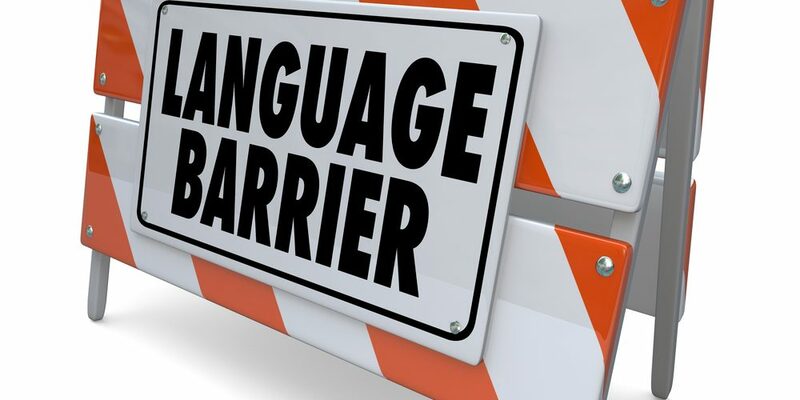 Being hurt or in an emergency situation is stressful enough, incorporating a language barrier into the mix can add to stress and put the LEP patient at risk of receiving poor patient care. Healthcare workers use children, family members, friends or bilingual staff members to provide interpretation services when they have not been trained as professional interpreters. Healthcare providers with basic foreign language knowledge try to communicate with LEP patients without the aid of a professional interpreter. Oftentimes cultural beliefs and traditions can affect what a patient believes is wrong with them and can in turn mislead healthcare workers and prevent them from properly treating the patient. Professional interpreters are trained and knowledgeable about the cultures as well as languages in which they interpret for. Accurately assessing the patients needs in a timely manner is vital in properly caring for an individual in an emergency situation. When a language barrier is present there are protocols and procedures that can be followed in order to ensure communication is accurately facilitated. In order to administer proper care, healthcare workers must utilize interpretation services. Proceeding to try and understand an LEP patient without the aid of an interpreter can be life threatening for the LEP patient involved. With the aid of interpretation services the best care can be provided while reducing potentially negative outcomes. Language service companies (LSC) provide interpreters through a variety of user-friendly and on-demand interpretation services. When emergencies are at hand there’s not always time to wait on the arrival of an on-site interpreter; services such as telephone interpretation or video remote interpreting (VRI) can be vital tools in providing optimal care to LEP patients. Telephone interpretation can be used initially during the ambulance ride or when the EMT’s arrive at the location to pick up the patient. VRI allows healthcare workers to access an interpreter quickly through an on-line web based platform that enables video as well as audio connection. VRI services are available through computers, tablets or smartphones and wait times when using the on-demand option is within minutes. Providing the best care possible in emergency situations doesn’t have to be hindered because of a language barrier. Taking the measures in order to accommodate and facilitate communication amongst health care workers and LEP patients by providing interpretation services prevents the risks of poor patient care.